Fast Charging makes electric cars more useful because of the reassurance drivers get knowing they can quickly recharge, and the faster effective trip speed. It seems that car owners with fast-charge capable cars, with enough fast charging stations around them, feel capable of taking longer trips. While fast charging is often unnecessary, because the optimum charging rate varies depending on the usage scenario the driver currently faces, it sure is convenient that fast charging stations give an almost complete recharge in under an hour. Unlike cars with 6 kiloWatt level 2 charging systems (20-25 miles of range per hour of charging), fast charging’s faster charge rate (50 kiloWatts or more) can supply 100 or more miles of range per hour of charging. A significant fast charging network available should make electric cars more attractive than otherwise, and lead to higher adoption rates. Unfortunately, while fast charging electric cars were available in 2011 (Nissan Leaf, Mitsubishi i-MiEV), CHAdeMO charging infrastructure didn’t grow very fast. Some automakers lobbied against CHAdeMO deployment because it wasn’t an SAE-blessed standard. Instead the CHAdeMO was standard co-developed by TEPCO and the Japanese automakers. Instead of adopting CHAdeMO, the SAE developed their own fast charging standard (Combo Charging System), Tesla Motors developed a proprietary fast charging system (Supercharger), and the Chinese developed a different fast charging standard. What we have in 2015 is a multi-way electric car fast charging standards battle. Consumers are caught in the middle not knowing which fast charging standard to support, not knowing enough to know how to choose between them. Fortunately some of the automakers appear to be acting to soften the pain of incompatible fast charging standards by deploying multi-protocol fast charging stations. What we deserve is ubiquitous fast charging stations with a unified fast charging protocol. Our gasoline powered brethren have a unified standard for gasoline pump nozzles, we deserve the same for fast charging. With multiple competing fast charging standards adapters would be a useful product, to enable fast charging from an otherwise incompatible charging station. While Tesla Motors is selling a CHAdeMO-to-Tesla adapter, it seems such adapters might have limited popularity due to expense and deployment of dual-protocol charging stations. Before we get into the fast charging standards, let’s do a small review of why this is important and some terminology. DC Fast Charging is the fastest (highest powered) electric car charging system currently available. The charging station provides a high power DC current, as much as 120 kiloWatts, to the car’s battery pack bypassing any other charging equipment in the car. Some people call this “Level 3” because the normal-speed charging generally used (240 volt AC at about 30 amps) is popularly called “Level 2”. Both names are incorrect. What’s popularly called “Level 2” is actually called “AC Level 2” and covers single phase AC charging at up to 20 kiloWatts in power. In practice the highest rate currently supported by electric cars is about 10 kiloWatts, but the public charging network generally only supports 6 kiloWatts. The DC Fast Charging we’re talking about is not “Level 3” but “DC Level 2” at power rates up to about 90 kiloWatts. Where this becomes important is the recharge times noted in the chart. The higher the charging power, the more quickly the car can be recharged. Put another way, high power charging makes for a faster effective trip speed – because you gain more hours of range per hour of charging. See Electric car charging rates, how fast, how slow, what we need, and why for more information. Taking a road trip with an electric car would be much more pleasant with 300+ miles range per hour of charging than 20 miles of range. As said above, there are four or so DC Fast Charging systems currently being used by electric car manufacturers. 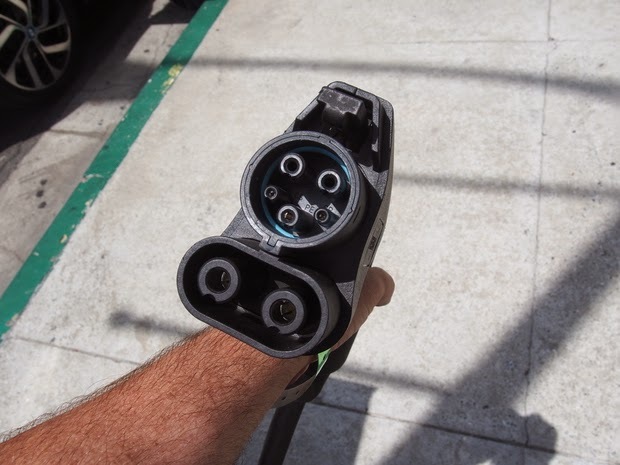 The picture shown here has four different connectors without even accounting for the Tesla Supercharger because there are two variants of the ComboChargingSystem charging socket. 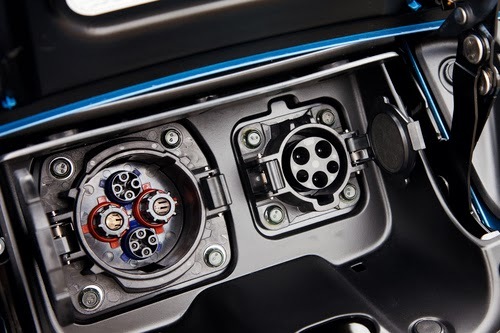 CHAdeMO is the trade name of a quick charging method for battery electric vehicles delivering up to 62.5 kW of high-voltage direct current via a special electrical connector. It is proposed as a global industry standard by an association of the same name. It was defined by the CHAdeMO Association – Purpose/focus CHAdeMO Association aims to increase quick-charger installations worldwide and to standardize how to charge the vehicles. – http://chademo.com – CHAdeMO was formed by The Tokyo Electric Power Company, Nissan, Mitsubishi and Fuji Heavy Industries (the manufacturer of Subaru vehicles). Toyota later joined as its fifth executive member. CHAdeMO is an abbreviation of “CHArge de MOve”, equivalent to “charge for moving”. The name is a pun for “O cha demo ikaga desuka” in Japanese, translating to English as “How about some tea?”, referring to the time it would take to charge a car. 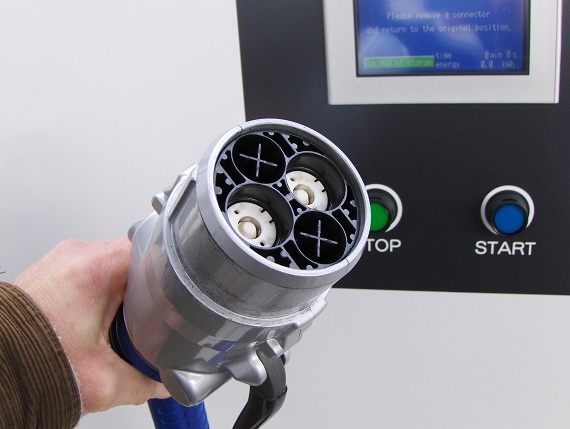 CHAdeMO is a form of DC Fast Charge, for high-voltage (up to 500 VDC) high-current (125 A) automotive fast charging via a JARI DC fast charge connector. The connector is specified by the JEVS (Japan Electric Vehicle Standard) G105-1993 from the Japan Automobile Research Institute. The connector includes two large pins for DC power, plus other pins to carry CAN-BUS connections. Because CHAdeMO ports do not support AC charging, cars must have two charging ports – one for AC Level 2, the other for CHAdeMO. When tasked with developing a fast charging system, the SAE J1772 committee basically took the existing J1772 plug and added on two large pins for high power DC. The upper part is the ordinary J1772 plug used in the USA, and the lower portion are the two DC power pins. The first point allows car makers more design freedom by requiring only a single hole in the skin of the car (or, a smaller hole) for recharging. The charging cord is also lighter weight than the CHAdeMO, and easier to use. 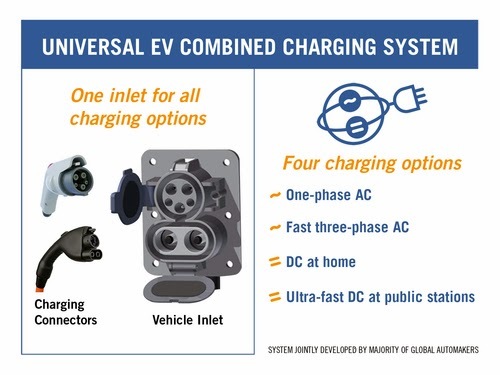 The second point – see the image above labeled “IEC DC Charging Systems” – has to do with the control protocol between the car and the charging station. We’ll discuss this below, but CCS uses PLC for that communication, whereas CHAdeMO uses CAN. 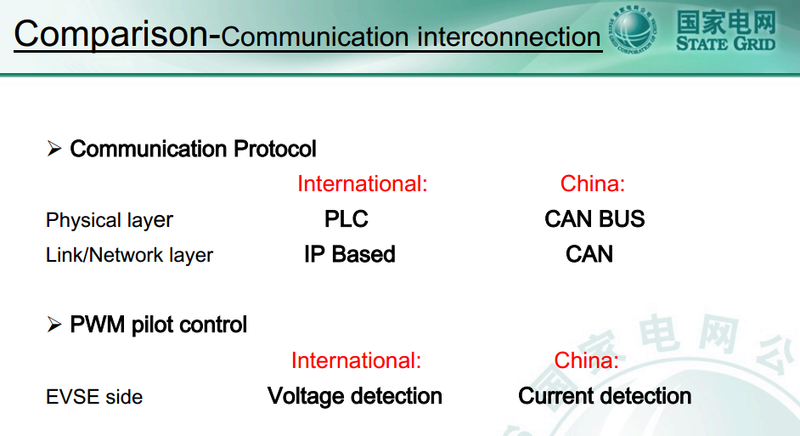 CAN is a data protocol used between components inside cars, while PLC is part of the smart grid protocols. The Tesla mobile charging unit comes with adapters for every kind of power outlet, from 120 volt 12 amp (NEMA 5-20), through to 240 volt 50 amp (NEMA 14-50). 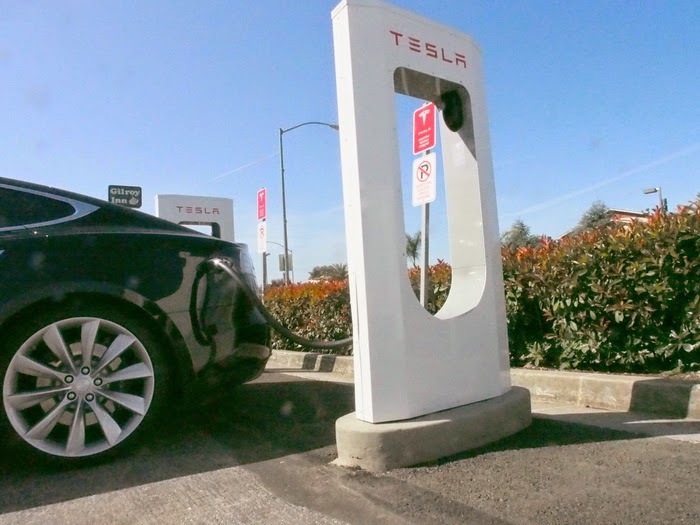 It means a Tesla Model S or Model X owner can get rapid charging in a wide range of situations. Tesla Motors also sells an add-on adapter allowing a Model S/X owner to recharge at a CHAdeMO station. Tesla Motors does not sell any kind of adapter allowing owners of CHAdeMO or CCS cars to recharge at a Supercharger station, however. The information shown here only covers AC normal speed charging, not DC fast charging. DC Fast Charging isn&apos;t the only implementation of fast charging. The chart above talks about AC Fast Charging. Pre-History: In September 2009 during the ZEV Symposium sponsored by the California Air Resources Board, a presentation by BMW, Daimler and VW called for a single charging protocol down to the bit level defined using the OSI 7-layer model. The impact of this stance is to not adopt CHAdeMO and instead use smart grid protocols. I was at this meeting and while I don’t recall this discussion, I recall the meeting occurred immediately before a big SAE meeting. The main thrust of the presentation was for all automakers to work together on charging protocol standards. They did manage to get American and European automakers to work together via the SAE committee. While they eventually developed different charging plugs, the charging protocol is the same between European and American electric cars. Optimized charging. This includes rid and energy mix optimized charging; improving battery life through intelligent charging; reliability (i.e., plug and charge not plug and pray); and customer defined end of charge to maximize vehicle availability. Automatic payment and billing. This should entail a system oriented on well known mobile phone functionality, with a simple contract with an electricity supplier. It should support automatic billing and roaming. Value added services. This should include safe and private payment through public/private key security; mobile access to important vehicle parameters (state of charge range, charging profile); and online tracking of contract/payment information. High density infrastructure for consumer confidence and more daily range given battery size. In other words, a more comprehensive network of charge points that could more quickly charge vehicle batteries could not only increase consumer confidence, but also reduce the requirements for “very, very big batteries” in electric vehicles. High power to allow fast charging in critical situations. High convenience to improve consumer acceptance and battery lifetime. Smart Grid and Fast Charging: In June 2010, Theodore Bohn at Argonne National Lab published a presentation about integrating electric car charging with smart grid technology. It describes using PHY as the bottom level of the communication protocol at the charging connector, and discusses other smart grid protocols like Zigbee. 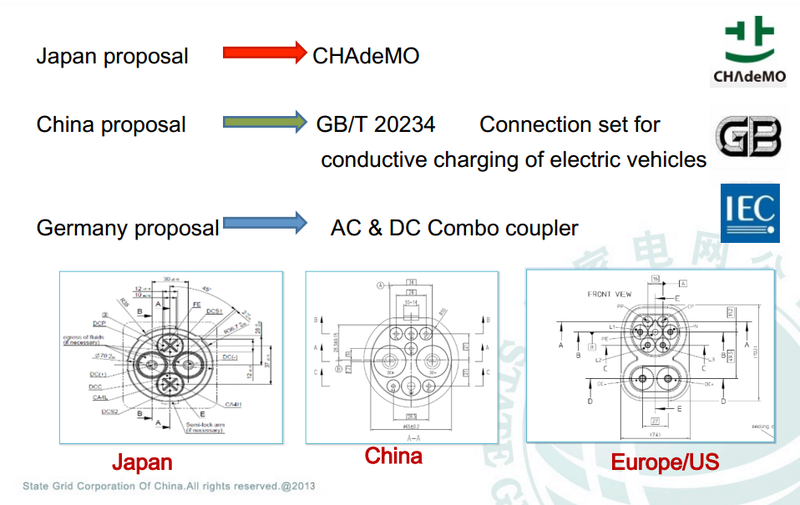 Anger and Conspiracy Accusations at Plug-in 2010 Conference: In July 2010, a dry snooze-inducing presentation about charging protocols at the PlugIn 2010 conference was interrupted by a loud angry complaint about SAE committee bias against CHAdeMO. The session included a presentation by Dr. Anagawa (TEPCO) describing their success with CHAdeMO based fast charging in Japan, which began rolling out in 2008. In the Q&A section a person from Mitsubishi R&D asked “what’s the deal” demanding to know why the SAE committee didn’t just adopt the CHAdeMO standard. From his perspective, CHAdeMO is a working standard with lots of field experience showing its viability. Why, then, doesn’t the SAE committee just adopt it? In other words, wouldn’t it have been more expedient for the SAE committee to just adopt CHAdeMO. As things turned out, the SAE committee didn’t finish CCS until September 2012, and no electric cars with CCS went on sale until late 2013. CHAdeMO was first deployed in 2008 in Japan, and thanks to the Nissan Leaf and Mitsubishi i-MiEV CHAdeMO electric cars have been on sale around the world since 2011. The responses from Mark Duvall, EPRI, and Gery Kissel, GM, reiterated points expressed elsewhere. Basically, carmakers desire to have a single port (hole) in the vehicle. The stance of the committee members is to work the standardization process, rather than directly adopt some technology. In particular this means to look at the usability of the resulting system, and is the result desirable or not. They asked us to ponder – in 10 years, there could be millions of electric vehicles on the road, what is the correct charging port situation? If the SAE committee simply standardized CHAdeMO as it is, that would be great from a short term expediency point of view. But in 10 or 20 or 30 years, when will there be a chance to revisit the short-term-expedient decision made today? The common pattern for decisions made for short-term-expediency will simply sediment itself into place, and in a few years that short-term-expedient-solution simply becomes the way it is done. But is it the desirable solution? That’s what the SAE committee asked. What’s cheaper? To rip out and replace all fast charging infrastructure in 2030 when the automotive industry finally gets around to defining the best fast charging port? Or to develop a really good fast charging port from the get-go? While that’s a great point, there is another angle to this. GM’s representative, Gery Kissel, Chairman of the SAE J1772 committee, had a monetary reason for obstructing adoption of CHAdeMO. At that time GM and Nissan were competing head-to-head with the Volt-versus-Leaf. By denying CHAdeMO the status of being blessed by the SAE committee meant the CHAdeMO port on the Leaf was less valuable. Nissan would clearly have benefited if CHAdeMO were widely adopted. However, GM would benefit by delaying CHAdeMO, so that GM’s choice of a gasoline engine range extender in the Volt would be seen as preferable over the Nissan Leaf, and its choice of range extension through fast charging. The Rise of ComboCharging System: In October 2011, a consortium of seven automakers (Audi, BMW, Daimler, Ford, General Motors, Porsche and Volkswagen) announced agreement to throw their support behind the Combo Charging System. 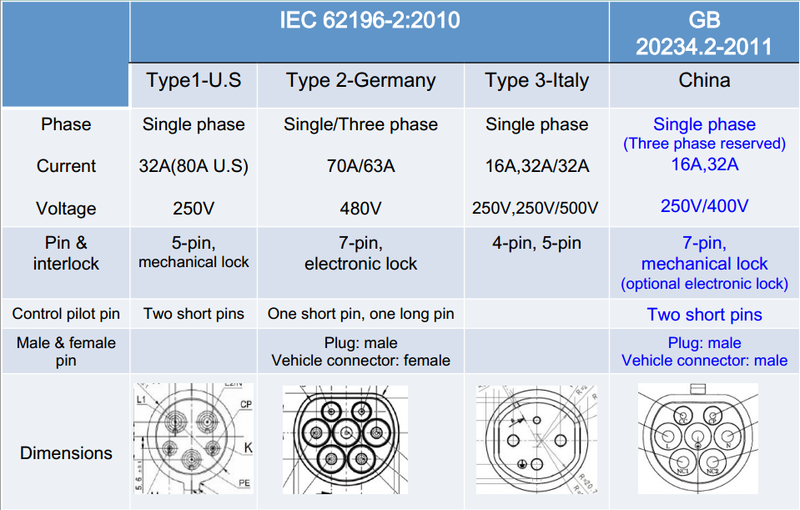 They note backwards compatibility with the J1772 plug, and in Europe system is based on the IEC 62196 Type 2 plug. Pictures of both are shown above. NRG/eVgo Comes to California: In March 2012, California’s PUC and NRG reached a settlement to a long-standing lawsuit. The result was for NRG’s eVgo subsidiary to gain entry into California’s electric car charging market. By 2050, virtually all personal transportation in the State will be based on zero-emission vehicles, and greenhouse gas emissions from the transportation sector will be reduced by 80 percent below 1990 levels. How is this important to the history of DC Fast Charging? At that time CCS hadn’t been finalized, but it was in the final stages and did get finalized in the fall of 2012. There was a risk California might have screwed up and mandated that eVgo only install CHAdeMO fast charging. Instead, the deal mandated that eVgo begin installing dual protocol fast charging stations once they became available. Interoperability Demo at EVS26: In May 2012, at the EVS26 trade show, the global automakers set aside an area of the show floor to demonstrate the CCS charging cords and charging stations. For the vast majority of EV industry people, this was the first time any of us saw the CCS plugs in person. GM/Nissan Argument in California: In May 2012, a California State Senator (Majority Leader Ellen Corbett) held a public Hearing in Fremont CA to discuss the status of electric vehicle deployment in California. Why Fremont? That’s where Tesla Motors has their factory, and the meeting location was a jobs training facility offering a wide range of vocational skills training – including work suitable for jobs at Tesla’s factory. Among the presenters was GM’s Shad Balch, Manager of Environment & Energy Policy, and David Peterson, Nissan’s West Coast Project Manager covering Zero Emission Mobility. Balch let fired with the first salvo in a corporate punch-trading exercise at the end of discussing GM’s priorities for the successful rollout of electric cars. Most of his points were uncontroversial, and anybody in the industry could have said those things. For fast charging, Balch described a “hodgepodge of fast charging standards” because Tesla has its own proprietary charging port, and Nissan/Mitsubishi use non-standardized CHAdeMO. 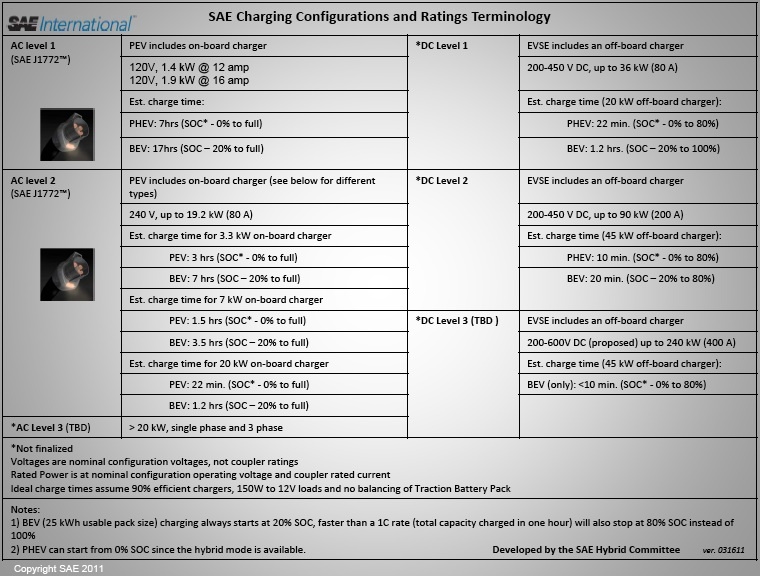 The bombshell then landed when Balch said “we need to make sure, especially because we’re talking about taxpayer money, that ONLY those standards are installed going forward.” Meaning that because the SAE DC Fast Charge standard is the only “standardized” fast charging system, this is the system to endorse. The audience actually BOOOO’d him for saying this. He kept his cool, and reminded us of the painful history with having dual competing charging standards. He closed saying “there is a very small group of cars that use a non-standardized level 3 charging connector,” referring to the Nissan Leaf and Mitsubishi i-MiEV and the upcoming Tesla Model S.
Tesla Motors Supercharger unveiling: In September 2012, Tesla Motors unveiled the Supercharger network. This is a fast charging system that initially ran at 90 kiloWatts, and has since been upgraded to 120 kiloWatts. Tesla vehicle owners can use the system for free, for the life of their car. Tesla Motors is building the Supercharger network across North America, and the parts of Europe, China and Australia where its needed to support Model S/X owners. The charging rate is fast enough for proper road trips. EU Ponders Outlawing CHAdeMO: In August 2013 the European Union began pondering legislation to prohibit CHAdeMO, because it wasn’t properly standardized. IEC Approves CHAdeMO as a Standard: However, in March 2014 the IEC approved CHAdeMO as a standard for electric car fast charging. As a result, in May 2014 the European Union adopted a draft proposal calling for a “dual protocol” approach. The PLC protocol used for fast charge control on CCS systems is HomePlug Phy. The signals are sent over the J1772 portion of the connector – PLC means Power Line Control, meaning data signals are sent across AC power lines. The DC Fast Charge must communicate more things, such as pack voltage, charge rate, when to back off. Additionally, for the system to support smart grid things such as borrowing electricity out of the pack, it needs to be able to read state of charge, as well as request extraction of electricity. Having multiple fast charging protocols is a pain point in the electric vehicle industry. It forces us into a macro-economics bad position in which “the world” is spending more money than necessary to support multiple charging protocols. For example, Tesla Motors is spending megabucks building a proprietary charging network that can only be used by owners of Tesla’s automobiles, while at the same time the charging network operators are spending megabucks to build out fast charging for the other protocols. Hence we have two piles of megabucks being spent, when it would be sufficient to spend one pile. While that’s good for Tesla (makes the Model S and Model X look more valuable), what if Tesla’s Supercharger system supported cars from other manufacturers? Wouldn’t Tesla be able to earn some revenue off those electric car owners as well? In any case, earlier I discussed a theoretical justification behind the SAE committee refusing to adopt CHAdeMO as the fast charging protocol. 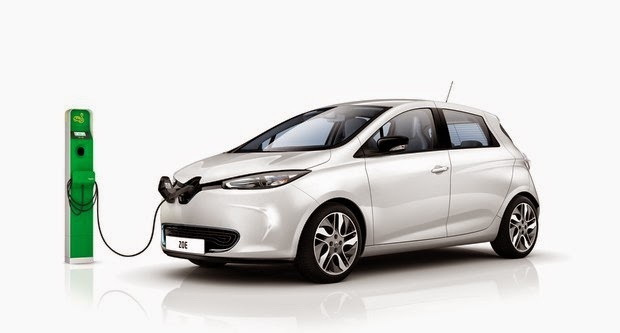 Some believe that the automakers were scared by Nissan’s bold plan with the Leaf, and used the SAE J1772 committee to delay fast charging standardization and therefore limit the Leaf’s value. Whether or not that’s true, it is true that CHAdeMO has a huge head start over the CCS fast charging system. There are far more CHAdeMO stations around the world than CCS, and far more CHAdeMO cars (by units sold) than CCS cars. In the long term that trend should change, since more manufacturers are in the CCS camp than the CHAdeMO camp. The curious issue is that Tesla Supercharger cars may out-sell both CHAdeMO and CCS. Tesla Motors is gaining rapidly on the Nissan Leaf (CHAdeMO) sales numbers. As the Model X starts in production, that rate is expected to accelerate because Tesla usually outsells the Nissan Leaf. With the Tesla Model 3, Tesla Motors promises to hit the ground running with a 500,000 vehicle/year manufacturing rate. Even if they start at 200,000 or 300,000 per year, they&apos;ll be outselling the rest of the electric car market, and therefore by numbers of vehicles sold the Tesla Supercharger will be the dominant fast charging system on the market. Will it matter if CCS is the industry standard if they have a relatively small market-share? Now that BMW’s i3, VW’s e-Golf, GM’s Spark EV and other CCS-compatible cars are on the market, the numbers for CCS are beginning to grow. The big question is whether CHAdeMO will stay ahead, or whether the sheer number of automakers behind CCS will be able to supplant CHAdeMO, or whether Tesla Motors will blow past both of them? The problem with this is it keeps us all locked in a multi-way fast charging protocol battle. Until there’s a single fast charging standard we’ll all be at risk of arriving at a charging station and be prevented from using it because of incompatible charging ports.